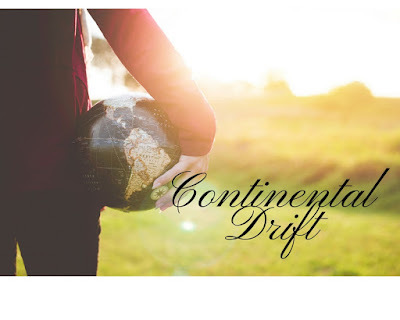 Sydney Shop Girl: Continental Drift 1/6/2018 Australian Host: Winter Plans. Continental Drift 1/6/2018 Australian Host: Winter Plans. Starting June 1st we will have a prompt that we are writing about. You are welcome to join us using the prompt or link-up with any family friendly topic that you like, be it DIY, cooking, sewing, crafts, lifestyle, de-cluttering, traveling, moving homes, fashion, style, beauty, make up, etc. Your hosts to this linkup come from UK, Canada and Australia. Enjoy getting to know each other! As your southern hemisphere correspondent, I can confirm that autumn has done her thing to our trees and that I've been faithfully sweeping up the golden fruits of her labour each weekend. Dressed in fire engine red Hunter wellies. Just because. Sydney is (mostly) beautiful in the winter. There are lots of little places to stay cozy in whilst enjoying fabulous comfort food. And the weather gets cold enough for you to indulge in a bit of faux fur fabulousness for a night out. What's more, the city is ideally located as base from which to take a road trip to Canberra and see the winter landscape along the way. Alternating lush countryside and bare branched trees whizz pass you as you zoom along the motorways. It's a rare treat zooming along any kind of road in Sydney and being in the midst of freely moving traffic is as much of a joy as the surrounding scenery. We won't be going to the snow this year but for those who will be, I wish you steady snowfall and enough powder to make skiing or boarding holiday a memorable one. I'm looking forward to visiting Vivid again this year. It's Sydney's winter festival of light and art that began with the purpose of bringing people back into the city after dark in the cooler months. It's now grown into a three week experience that involves sites such as Taronga Zoo and suburbs like Chatswood. Two million visitors are expected to experience Vivid this year across all sites. It's always a popular event with families who aim for the early evening hours of the display, leaving the rest of the night free for other groups. Being Sydney, there will be plenty of eating options among all the lights. I'm keen on trying the food trucks stationed in Chatswood this year. Closer to home, the ugg boots will be unearthed and worn with thick socks around the house. I've an entire new wardrobe of toasty warm, knitted sweaters to wear through the season. The freezer safe food containers have been updated and organized. They'll be holding many batches of soup and casseroles over the coming months. One of my favourite things about winter is being able to come home to something homemade that only needs a few minutes in the microwave by way of weeknight meal prep. Less easy will be figuring out how to dry all those school uniforms as it gets colder, wetter and darker. My fancy European dryer can only do so much when faced with a load of school gear. I'll be resigned to draping the beds in the spare room with slightly damp things before airing them before a heater the night before they're required. What does the change of season mean to you? Are you heading into winter or summer? Are you a bit of a planner and scheduler? Here are the Continental Drift topics we have in mind for the rest of the year. That's the thing I love most about winter is pulling out my sweaters. Especially if I've knitted them!! I always look forward to your autumn posts on leaf sweeping. It was so nice this time to see the greenery of the outlying countryside this time . S real joy as I've never been to Australia. Thank you for showing it. I like freezing fruits in the autumn and making crumbles through the winter then. I get that it's the "winter" season there but its so cool to be able to read your posts and see you wearing faux fur as I am shedding layers like crazy. LOL. Vivid sounds like a great idea. When winter hits here I honestly feel like we all go into hibernation mode and rarely do we see people out and about for the purpose of just getting together. I get out with the running community but for the most part there aren't outdoor winter festivals, activities that get people out into the city center. Love that.